Prof. Asfawossen Asrat KASSAYE is Professor of Geology at the School of Earth Sciences of Addis Ababa University (AAU). He received his PhD from the University of Henri Poincare, Nancy (France) in Geochemistry and Petrology in 2002. He is actively engaged in teaching both at postgraduate (Geochemistry, Geo-environment, Palaeoclimatology, Palaeoenvironment, Geotechniques, Engineering Geology) and undergraduate (General Geology and Geomorphology, Petrology and Geochemistry, Geology for Engineers and Geotechniques, Field Geology Techniques and Practices, African and Ethiopian Geology) programs. He is actively engaged in both pure and applied research and has completed/is undertaking 20 research projects funded by the National Science Foundation (USA), Natural Environmental Research Council, and the Royal Society (UK), Collaborative Research Center (Germany), Addis Ababa University and Ministry of Sciences and Technology (Ethiopia), among others; has authored/co-authored about 60 peer-reviewed publications in various fields including Paleoclimatology-Paleoenvironment, Igneous Petrology-Isotope Geochemistry-Economic Geology, Geoarchaeology-Geoheritages-Geotourism, and Geotechniques-Geomorphology-Engineering Geology-Hydrogeology, in high impact journals including Nature Geosciences, Nature Climate Change, PLoSONE, Journal of Petrology, Geochimica Cosmochimica Acta, Quaternary Science Reviews, Journal of Quaternary Sciences, Quaternary International, Quaternary Geochronology, The Holocene, Journal of African Earth Sciences, and Scientific Drilling. He has also authored 2 text-books, and one popular book entitled “Geotourism in Ethiopia”. He has supervised 45 Masters Theses projects in AAU and co-supervised 5 others in the UK and Germany. He has been supervising 3 PhD students. He is actively engaged in professional activities as a member and leader of many national and international professional associations, and has served as the Vice President of the Geological Society of Africa; he is co-opted member of the Executive Committee of the International Association of Geomorphologists (IAG); he is a member of the Scientific Steering Committee of the Past Global Changes (PAGES); he is a member of the UNESCO Global Geoparks Council; he is also a founding member and current President of the Eastern Africa Quaternary Research Association (EAQUA). 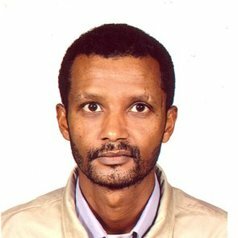 He is a Fellow of the Ethiopian Academy of Sciences, and a Young Affiliate of the World Academy of Sciences (TWAS). He has organized 12 international and national scientific conferences/workshops and participated in about 50 international scientific conferences. He is an Associate Editor of Quaternary International, and Zeitschrift für Geomorphologie (Annals of Geomorphology), and is a member of the Editorial Board of Geoheritage. He has reviewed several research articles in various journals, and has Guest edited special issues of the Journal of African Earth Sciences, Quaternary International, Annals of Geomorphology and Quaestiones Geographicae. He is actively engaged in outreach activities and community services and contributed to several popular documentary films on geology related subjects. He consulted several development, construction, engineering and mining firms as well as government institutions. In addition to his active teaching, research, professional, community and outreach services, he has served the AAU in various academic administration positions including as Academic Programs Officer (2004-2006), Associate Vice President for Academic Affairs (2006-2008), and Chief Academic Officer for Research (2011-2012). He is fluent in Tigrigna, Amharic, English and French.